Categories: Chairs / Benches, Office. 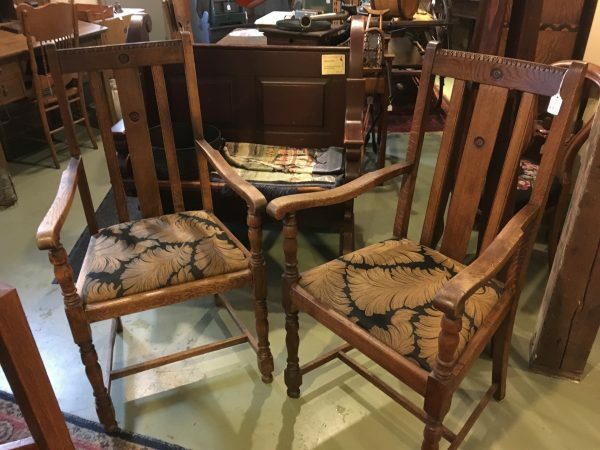 Pair of solid Oak arm/carver chairs with newer upholstery in great condition . Sales, restorations, appraisals and rentals. Archer’s Antiques specializes in restored North American Furnishings and Artifacts. From primitives of the 1700’s to the late Arts & Crafts Era of the 1900’s. A tradition since 1959. For more information please contact me.